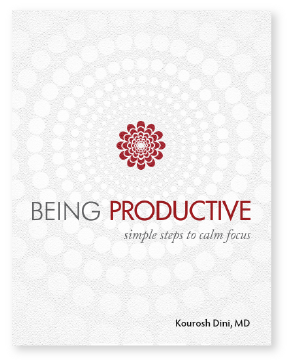 Over the years, I’ve written three main works on productivity. In many ways, each road leads to the same place, while the journeys are quite different. Learn exercises for finding relaxed, heightened attention. Learn ways to dive deep into work. Build a simple trusted system. Find calm even with due dates. Take large projects along a path of mastery. Integrates easily with most any productivity method or task system, though neither are required. 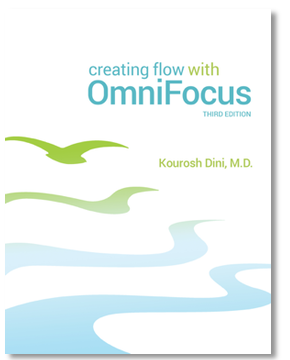 Creating Flow with OmniFocus helps you build a system of work using the powerful task manager OmniFocus. A task manager is useful when pen and paper just isn’t enough. In today’s world, we can easily gather large numbers of commitments. When you need to stay on top of all the ins and outs of your life, personal and professional, a task manager such as OmniFocus becomes a huge boon. Learn from the most basic to the most advanced concepts. Create a streamlined singular workflow. Build a dashboard system to manage responsibilities and tasks easily. 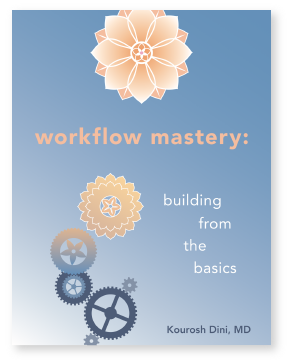 For those who want a deeper dive, Workflow Mastery looks at the psychology and philosophy behind mastery and meaningful work. It examines how we can have vision, how we can organize meaningfully, and ultimately how we can forge conditions for our work and play. This one is probably best after you have a system of work in place. Master the universals of workflows to build your own unique system. Each of these have a 30 day money back guarantee. If you’re not satisfied, please drop me a line. These products use or are based on Getting Things Done® or GTD® Principles. They are not affiliated with, approved or endorsed by David Allen or the David Allen Company, which is the creator of the Getting Things Done® system for personal productivity. GTD® and Getting Things Done® are registered trademarks of the David Allen Company For more information on the David Allen Company’s products the user may visit their website at www.davidco.com.